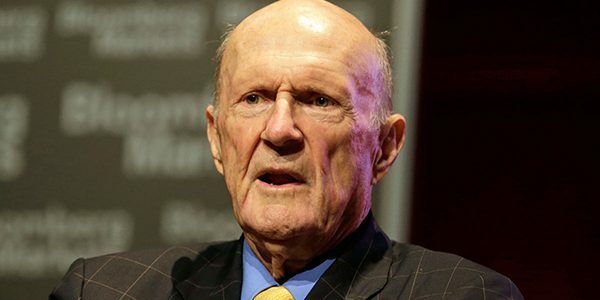 Julian Robertson, a legendary hedge fund manager who founded one of the most successful hedge funds, Tiger Management, noted in a recent Bloomberg interview that the industry faces one of the toughest times encountered in his 40-year career, to generate returns and maintain the fee structure. The 84-year hedge fund manager who founded Tiger Management in 1980 and turned it into one of the world’s largest hedge funds, returned outside money in 2000. He now manages his own money. Hedge funds as a group have had lackluster performance, underperforming the S&P 500 each year since 2008. Yes, that’s right! The hedge fund industry has been unable to outperform the S&P 500 for 8-years running now. No wonder there is a pushback from investors to cut-down on the management fee of 2 percent of assets and performance fee of 20 percent of gains. A recent survey found that 73 percent of institutional investors would like management fees to fall over the next year, and more than 50% would like performance fees to drop. In our opinion, there are a number of factors that contribute to this under-performance including high fees, and perhaps difficulty in calling market direction, behavioral biases, and of course quantitative strategies, which are becoming harder to compete against. The full article can be read at Bloomberg.